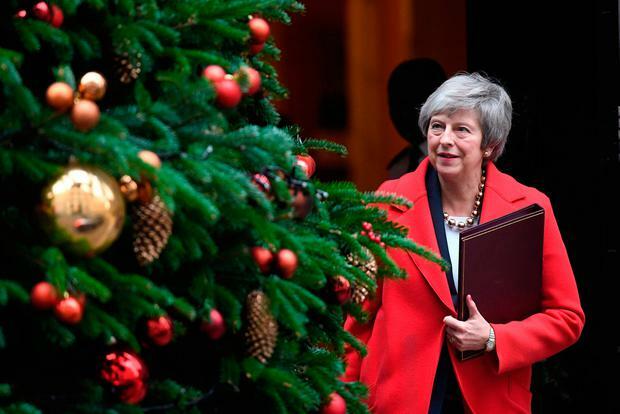 The likelihood of a no-deal Brexit has been reduced after a day which saw Prime Minister Theresa May humiliated repeatedly in parliament. Amid political upheaval, the UK government lost three votes in an hour and was judged to be in "contempt" of parliament. There is now a growing acceptance in Dublin that Mrs May will not be able to secure enough support for her Brexit deal in the House of Commons next Tuesday. But sources were privately taking some comfort from a decision by MPs to vote in favour of a motion yesterday which will give them a greater say in whatever 'Plan B' is put forward. The proposal from Conservative MP Dominic Grieve opens the door for MPs to back alternatives to Mrs May's plan, including a Norway-style Brexit or a second referendum. Experts noted "no deal" was the one option which definitely cannot win a majority. It comes as the formal advice from a European Court of Justice advocate general - not binding but usually heeded by the court - suggested the UK can unilaterally revoke the Article 50 divorce notice. A five-day debate on the Withdrawal Agreement was commenced by Mrs May last night. She attempted to convince her own party members and Labour the Irish backstop is a necessary element of the deal. "The backstop is not a trick to trap us in the EU," she said. "It actually gives us some important benefits of access to the EU's market without many of the obligations and that is something the EU will not want to let happen, let alone persist, for a long time." Mrs May said she wants to deliver a Brexit that respects the 2016 vote, stating: "This argument has gone on long enough. It is corrosive to our politics and life depends on compromise." If MPs do not back her deal, Mrs May said, they could open the door either to Britain falling out of the EU without measures to soften the transition, or to the possibility Brexit does not happen. She argued the deal was not perfect but was the best one possible. "I don't say that this deal is perfect. It was never going to be. That's the nature of a negotiation," Mrs May said. "We will not bring our country together if we seek a relationship that gives everything to one side of the argument and nothing to the other. We should not let the search for the perfect Brexit prevent a good Brexit that delivers for the British people." However, powerful Tory backbencher Graham Brady hinted he and other MPs may need "reassurance" over ending the Northern Irish backstop before they can back Mrs May's deal. Speaking in last night's Commons debate, Mr Brady said "there has to be a way to leave" the backstop mechanism without the EU's approval. He said: "Over the next seven days can I urge the Brexit Secretary and the Prime Minister in the strongest possible terms to redouble their efforts to find a way to give real reassurance that we the United Kingdom in future could leave the Northern Irish backstop in the event that we have had to join it." Following the vote on contempt, Commons leader Andrea Leadsom confirmed a U-turn over the legal advice offered to the cabinet by Attorney General Geoffrey Cox. The motion tabled by Labour, the SNP, other opposition parties and the DUP argued ministers were in contempt due to their failure to fully publish advice. The motion was approved by 311 votes to 293. It also ordered the "immediate publication" of the legal advice. In the Dáil, Taoiseach Leo Varadkar said the deal provides a basis by which the UK and EU can avoid a hard Brexit, "which would see the UK crash out of the EU with all the severe consequences that would imply". "Rejection pushes us all towards a no-deal Brexit, from which nobody would benefit." Mr Varadkar continued: "Preparation and planning is ongoing across the all departments to deal with and plan for a range of Brexit scenarios, including a no-deal scenario." Mr Varadkar said in a "disorderly scenario" the implementation of all planned arrangements would not be possible by March 29. "Therefore, we are also focusing on possible temporary solutions which could be rapidly implemented until more long-term arrangements could be put in place." He said all departments and agencies are engaging in "preparedness and contingency planning".